Are you getting sick of this denim bomber jacket yet? I hope not because I'm going to be wearing it alot till this weather starts acting more summer like. It's super lightweight, so if you are in need of a good Spring to Summer layer, this is it and it's on sale! 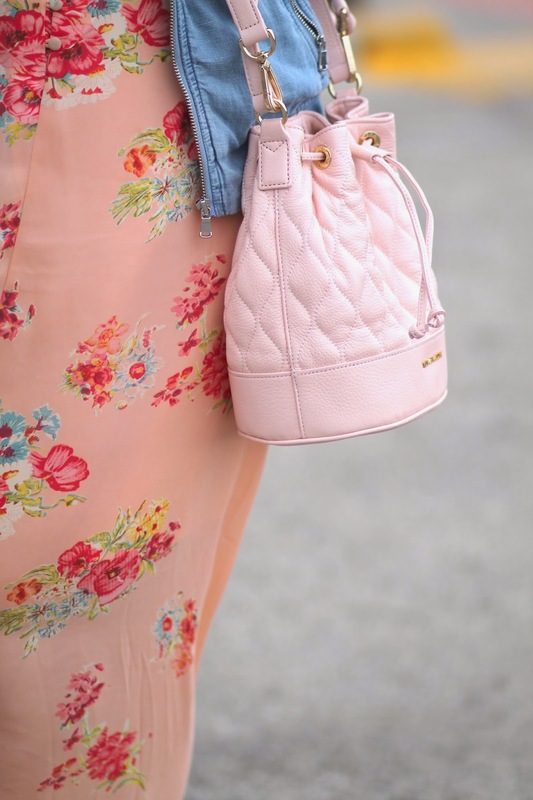 Speaking of light and summery, Have you checked out Vera Bradley's new line of quilted leather bags? Teachers already love Vera bags, but now they come in super chic quilted leather, not just fun patterns. Way to go Vera Bradley for adding a level of chic to my summer handbag game! 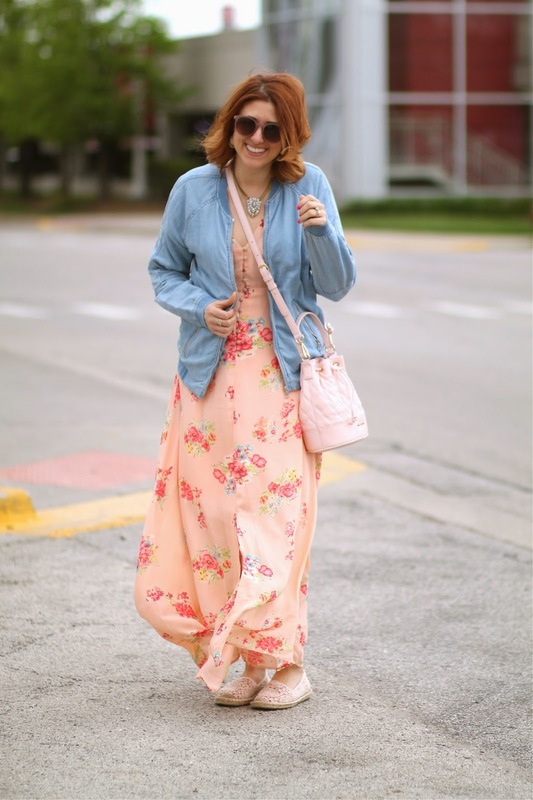 This Blush color is perfect for my teacher off duty style for the warmer months to come! Thanks to Lauren of Lake Shore Lady for these photos! This outfit is so gorgeous! 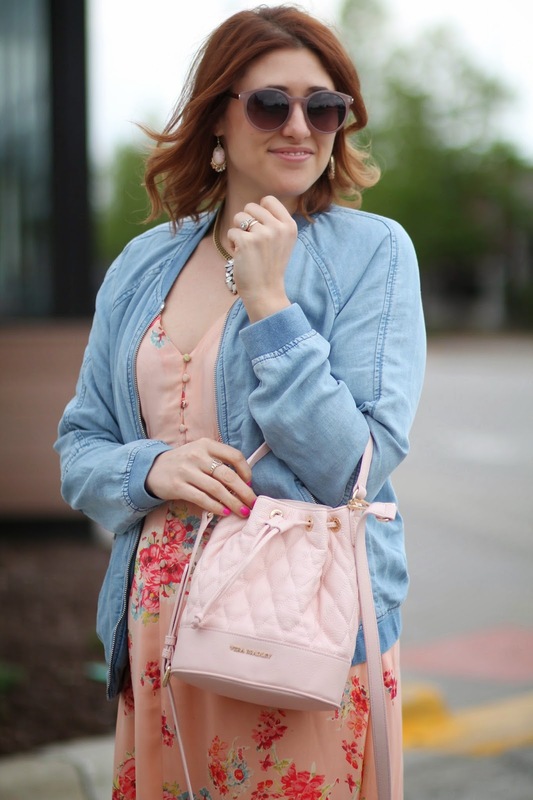 I love those pastel Vera bags -- so fun and fresh for spring. 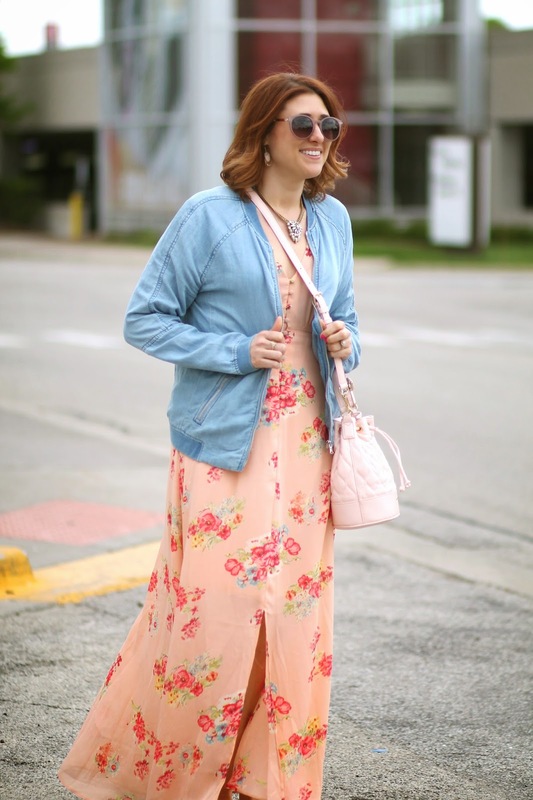 And Asos makes the BEST maxi dresses -- not sure how they do it but they always fit like a dream!